we have aimed changes into opportunities by actively dealing with changes in the business environment. We will continue to look back on our past with pride while continuing to maintain growth by looking toward the future with an innovative spirit. Also, Unixon has a flexible organisational culture based on trust and honesty. We were able to achieve outstanding growth because our executives are always passionately involved in their roles and duties. We encourage all executives to think creatively, creating a working environment that all workers can be immersed in with passion. 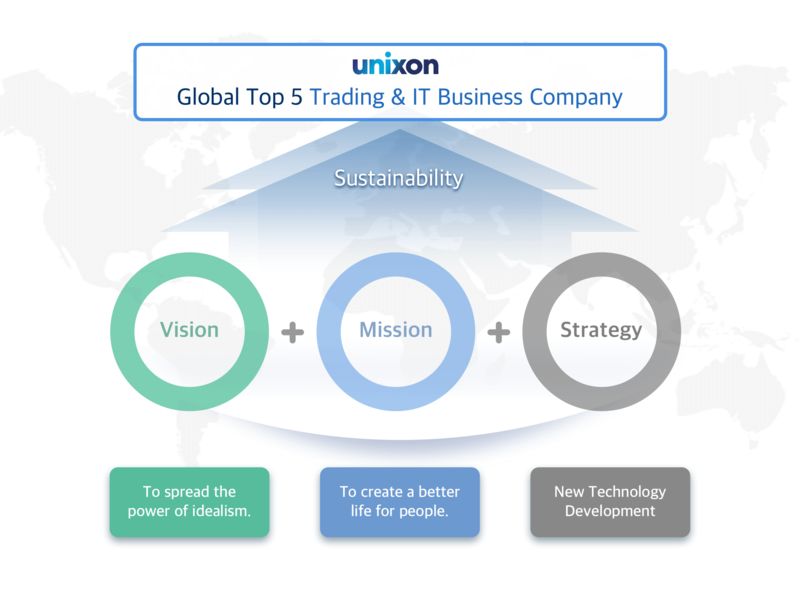 Based on our flexible business approach, Unixon will extend its efforts to be a leading global company by supporting our dedicated employees to extract their full potentials. 05	Texas State University, U.S.-selected as consulting service provider for marketing support in U.S.
03	ISO 9001, ISO14001 approval. 02	“e-Clamp”, firstly, domestic patent registration in Korea.